Ask fellow campers about "Stinson RV Park" and nearby attractions. Hard to get to as GPS doesn't recognize the address or coordinates. Super friendly owners. Hookups are a bit farther back than normal but, it works. Good for an overnight stay. We camped at Stinson RV Park in a Motorhome. Two year old park that is in process of being developed. Very heavily full of seasonal campers. Very hospitable owners who sponsored a Saturday morning donut social for campers to get to know each other. Appreciated that they do a background check on folks staying for more than a month...appropriate safety and security. Plans in place for a tavern/brewery next door by July 2019. 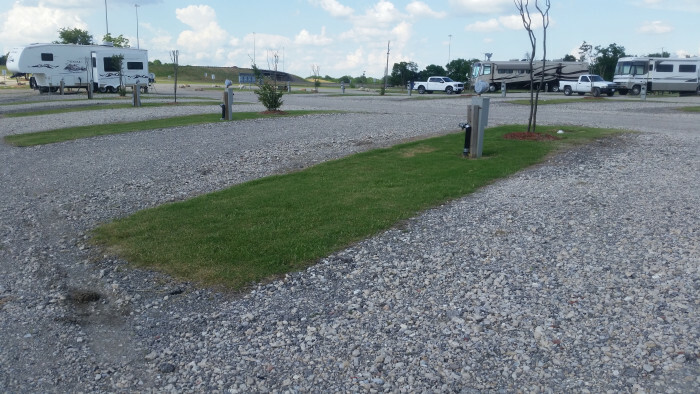 Water and electric good...some sites could stand some grading since gravel and rains have had a negative impact. Owner told us to pick one of 5 sites when we arrived...we picked most level. No cable, clean laundry ($1.50 wash; $1.00 dry). Wifi below average. Would come back in year to see developments. 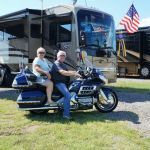 We camped at Stinson RV Park in a Fifth Wheel. Rib Crib BBQ is very good. Audie Murphy and cotton museum (1 facility) exceeded expectations...worthwhile attraction...spent several hours there. Greenville,TX and Commerce,TX cities are each about 10 miles away...nice to visit. Heard Langdon Winery in Greenville is good. We stayed here on our way to Kerrville, Texas to see our grandson graduate college. It's a fairly new park with plenty of open space with good satellite reception. The owners are friendly and helpful. We made our reservations in the spring at a $35 rate. Since then we joined Passport America and only paid $20 on our return trip home. We camped at Stinson RV Park in a Motorhome. Met the owner the next day. Great park. Clean, huge. Working on the gravel to make it motorcycle friendly. Great spot. Price reflects Pasport America Nice. We camped at Stinson RV Park in a Motorhome. Rate reflects discount for 3 nights. 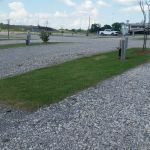 Nice small family owned RV park only 2 years old and conveniently located just off the I-30. We actually stayed at the front of the park but did experience any road noise Long gravel sites that still require a little work. Owners are lovely and make you feel most welcome. 9 hole golf course next door ($10 for game) was enjoyable as well as challenging! Extremely clean laundry with key codes for laundry and restrooms. No shade yet but trees have been planted. 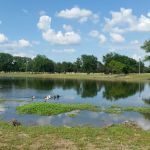 Check this park out on your travels as well as surrounding towns. We camped at Stinson RV Park in a Motorhome. 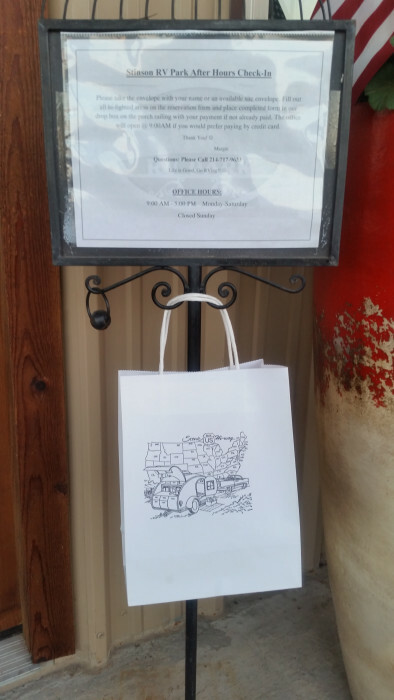 Visit Sulphur Springs - walk the square, have a meal in one of the many lovely restaurants. We also visited the Audie Murphy American Cotton Museum nearby. Whilst small it was very interesting. Toured Greenville and Campbell before heading north on our travels. Enjoy a game of golf next door. Highly recommend this park as a location for visiting the area. 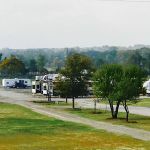 We found this family owned and operated RV Park along our route to Arkansas, it is conveniently located off of I-30 in Campbell, TX. The first thing we noticed about the park was the attention to detail they had is setting up their main office. Though it looks like a simple metal building from the outside they went to great lengths to make it feel like a home. The staff could not have been any friendlier. 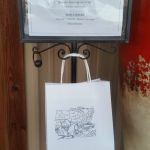 We felt welcome and appreciated for staying with them, they even had a cute welcome bag for us with candy, water and local maps. PROS: Full hooks up at each site Impressively fast WiFi at each site Catch and Release pond with friendly ducks Cleanest temperature controlled bathhouses I have ever seen, made to feel like a home bathroom Handicap accessible bathroom with toilet, shower and sink all in one room Communal fire rings and picnic tables available Trash pick-up at your site 9 Hole Par 3 golf course next door (different owner - affordable) Bathrooms/Laundry are behind key coded doors - we feel this keeps them cleaner/safer Several cameras throughout the property - safe area but we appreciate their willingness to go the extra mile for prevention. Laundry room was clean, machines are newer (1.50/wash 1.00 dry) CONS: Lots are gravel, this a really new park (< 2 years old) so they still have gravel sites. They have pitched them towards the middle to help with drainage - not an issue for us but wanted others to know Interstate noise can be heard from the RV sites (didn't prevent us from a good night's sleep though) Since the area is new there are no mature trees for shade - which is great news for bigger rigs but certainly increased our AC use while we were there Please stop by this great park if you are in the area, you won't regret it! We camped at Stinson RV Park in a Motorhome. New family owned park. Right off I-30. We had spot 79, a long pull through next to the office so we did not have to unhook the car. Very large grassy areas that the dogs loved. This is a great find, we will be back! We camped at Stinson RV Park in a Motorhome. New park so things are pretty nice and facilities are modern. Employees and owners are very friendly and helpful. Priced very well and they have several discounts available. Entrance is a bit tricky, Mapquest led us down a rabbit hole so check directions first and follow them not GPS, or call ahead. Not positive (but close) on rate given above but was very affordable with Passport discount. Spaces were not, "Spacious" but pretty generous. Glad to see new enthusiasm and new owners. GOOD LUCK! We camped at Stinson RV Park in a Travel Trailer. Lots of things nearby. Ask the owners or employees for recommendations and they will willingly share lots with you in Commerace, Campbell etc. This is the second time we have stayed at this park. Right off the interstate but no traffic noise. 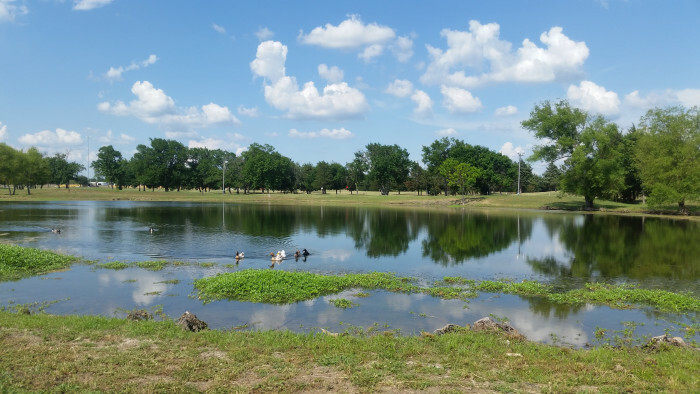 The park is immaculate and we could definitely see that the owners have been busy working on their beautiful park. The sites were level, long enough for rigs and tows and plenty wide for our 5 slides. We had fun on the "porch". The first Saturday morning of the month is donuts and coffee provided by the park. A couple of nights we enjoyed having happy hour on the porch with guitars and guests. They now have easy after hour check in and of course, the hospitality is the best. Texas has frontage roads which makes exits strange. Headed East get off at 101, watch for 2 way traffic on frontage road and the park is on the right. Headed West, you will get off on 101 stay in the left lane go down to the gas station, U turn (it's big enough") then stay left and come straight over the overpass and you will be at the 2 way frontage road and see the park. We camped at Stinson RV Park in a Fifth Wheel. Golf next door is $10.00 for 9 holes and not a bad course. Convenient location to A&M Commerce, Greenville & I-30; Management has growth plan to expand their Resort; Management maintains grounds and keeps resort clean; We're repeat customers; Staff cares and provides professional customer service and, Management allows mail/package delivery for their customers. We camped at Stinson RV Park in a Motorhome. Greenville has numerous restaurants, Home Depot, Lowes, Hobby Lobby, Walmart Stores, etc. Commerce has restaurants and Sulphur Springs is approx. 25 miles east of campground. This is a brand new park. All sites are pull-through and gravel. The owners and staff were super nice and shared their plan for an awesome park. They want to make sure that all guests are taken care of. It is right next door to a 9-hole golf course, $10 for park guests. We played golf, nice course. We will be back and can't wait to watch them develop. We stayed in a 42' Fifth Wheel with 5 slides. When they put in the pool they will get a higher rating from us. We camped at Stinson RV Park in a Fifth Wheel. Good place for a rally. Next to a golf course and winery. The owners will take good care of you and your group. Thank you for your review. We are working hard to make our park a great experience. We have extended several sites since you were here and we now are adding solar lights to each site. We look forward to seeing you again. 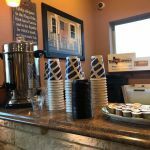 Are you affiliated with Stinson RV Park ?